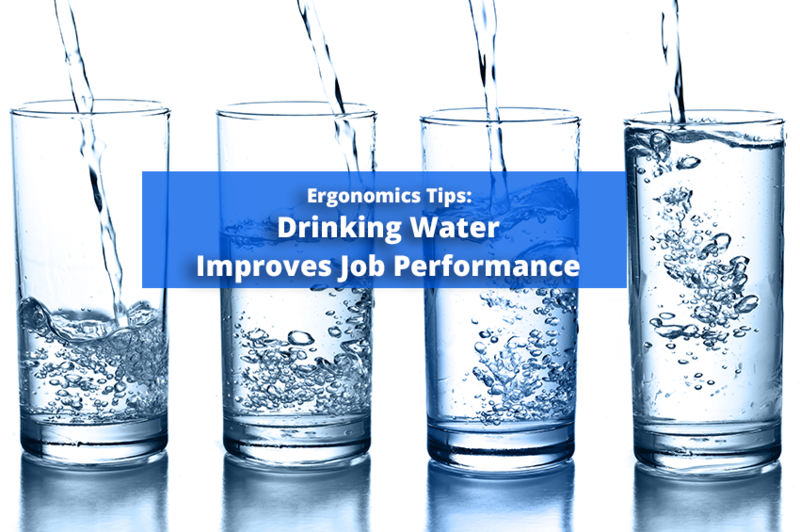 Drinking Water Improves Job Performance - Solutions Northwest, Inc. The water cooler is your friend. Whether you’re sitting in an office or walking the floor of a warehouse, you should always stay hydrated at work. Water will not only keep you from being thirsty, it will also provide you with health benefits and help keep you and your workers productive at work. Learn how drinking water helps you become a better worker and just how much water should you should drink. According to organicfacts.net, the health benefits of drinking water include “the maintenance of energy levels, body temperature, metabolism, and breathing. It helps in the prevention of constipation, heartburn, migraines, gastritis, ulcers, kidney stones, cardiovascular disorders, rheumatoid arthritis, backaches, and osteoporosis.” Water also plays important roles in kidney function and skin care. The key takeaway is that water can help you boost your energy. It may be time to consider switching from the daily coffee or energy drink to focusing on staying hydrated for that extra energy boost at work. Consuming half your body weight in ounces of water every day is recommended. For example, if you weigh 150 pounds, you should drink 75 oz. (7 ½ cups) of water every day. If it’s hot, or you are exercising you should up your water intake. When drinking something dehydrating such as a caffeinated drink or a glass of alcohol, it is recommended to drink 1.5 oz. of water for every oz. of caffeinated drink or alcohol you’ve consumed. Remember, you don’t have to pour a glass of water to consume water, as 20% of our water intake can be fulfilled by a proper diet rich in fruits and vegetables. How do you know if you’re not getting enough water? Drink plenty of water at work. Water is usually provided by most employers for free and is much cheaper than coffee (if you must buy it bottled). If there are no water coolers in your workplace, speak with an office administrator or supervisor to see if management will install one for you. Remember to always consult with your doctor to rule out a possible underlying cause of pain at work.